As a child, I always either cringed or ran away at the sight of insects (especially flying ones like moths and cockroaches) and bats! Now I’m married to a man who grew up in a farm and finds insects fascinating. 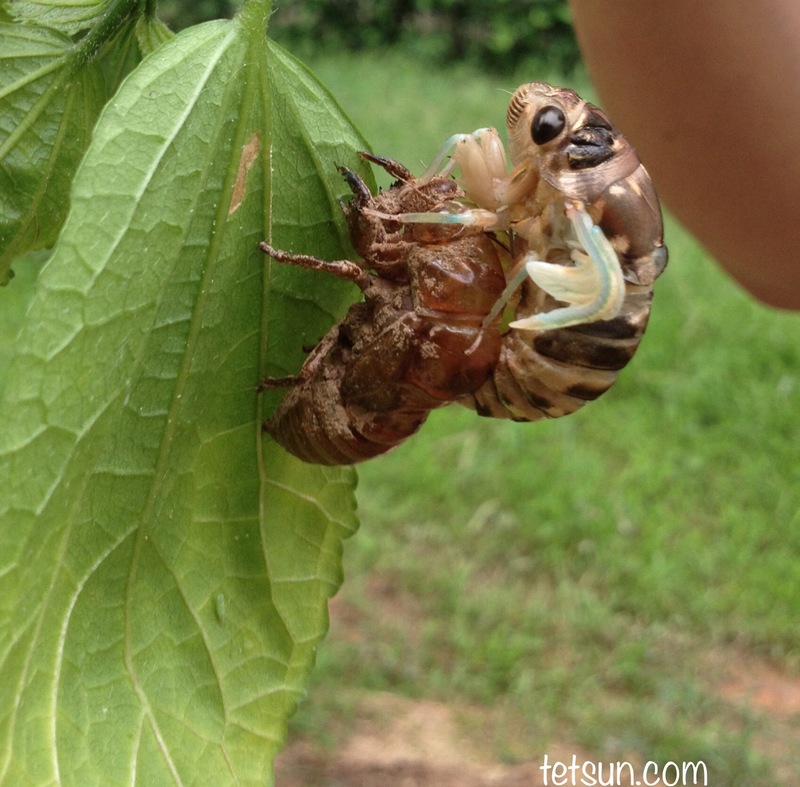 We noticed this moulting cicada one afternoon while we were walking, and my first question was, “Is it going to fly?” He assured me it wasn’t going to fly. Yet. So I got my phone camera ready and started snapping pictures of this creature that would normally make me cringe, but which my husband looked at with…a meaningful smile. 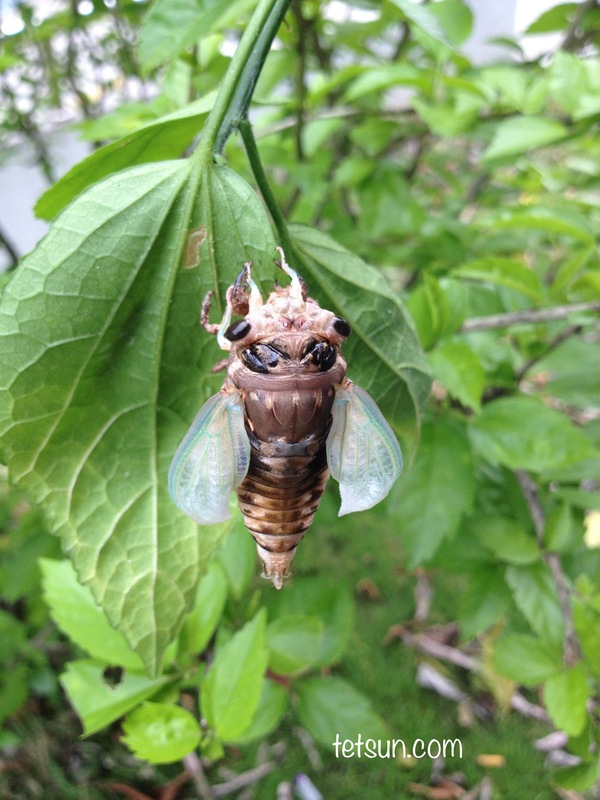 I got to see this cicada shedding off its skin and growing its wings just a couple of days after my husband and I watched Alien:Covenant (not my kind of movie, but when you’re married you sometimes have to watch movies that you don’t like!) This cicada reminded me of the creatures that the android character, David, created. The word “beautiful” never came to mind. 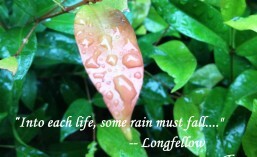 But after seeing this photo on my iPad with my reading glasses on … I thought it looks quite interesting. Perhaps those things that usually make us cringe just need a closer inspection. Perhaps we’ll change our minds. But nah, I’m not interested in taking a closer look at cockroaches. This entry was posted in photography, Thoughts and tagged cicada, cringe, insects, perception, photography, writing prompt. Bookmark the permalink.